This apartment is situated in the upmarket De Zalze golf and wine estate in the heart of the Stellenbosch winelands, and very close to the town. 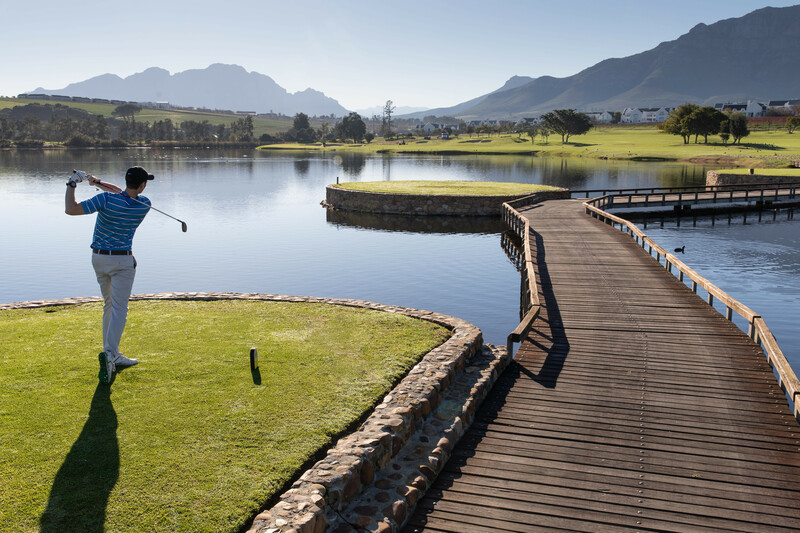 The estate offers a state of the art golf course, while popular wines are produced under the Kleine Zalze label. The gated community enjoys 24-hour security. The newly renovated one-bedroom luxury apartment offers a perfect stay in the peaceful surroundings of the Stellenbosch mountains and vineyards. Stunning views of the mountains and the golf course open up on all sides. The apartment is equipped with everything needed for self-catering, with two coffee machines, toaster, refrigerator, washing machine, etc in the kitchen. In the living-room is an HD Smart TV (also with DStv), with free Wi-Fi throughout the apartment. Use of a big outdoor swimming-pool and spa facilities is available to residents. 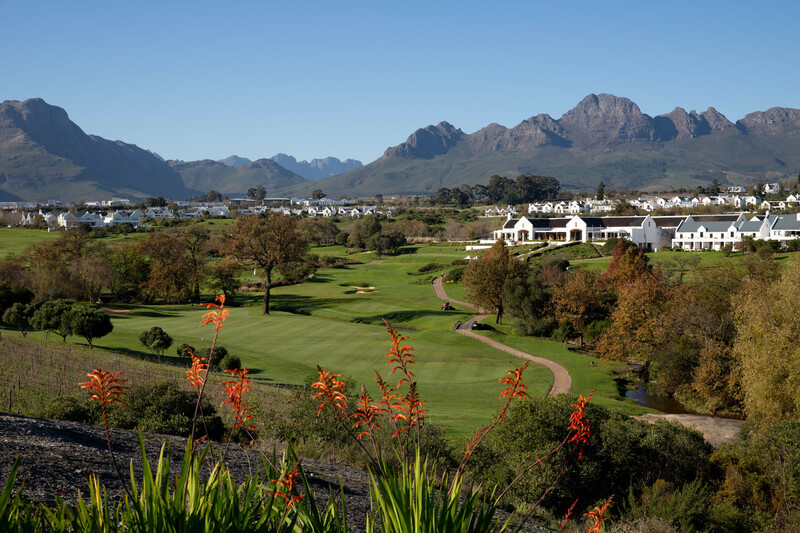 The De Zalze clubhouse also houses a restaurant and is within 100 metres of the apartment. The famous 5-star Terroir Restaurant is further along on the estate. Note that bookings should be made well in advance. 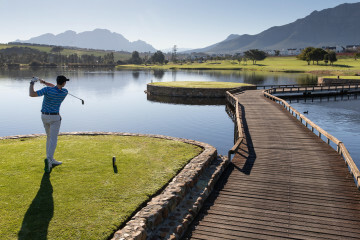 Stellenbosch is a favourite travel destination for wine lovers and golf enthousiasts. Stellenbosch area is also blessed with a variety of scenic mountain trails, whether for jogging, cycling or hiking. The town has a rich history and offers diverse cultural activities. Stellenbrau was the first craft brewery to open in Stellenbosch, with a vibey restaurant offering beer-tasting in the heart of town. De Zalze the estate has their own water supply. De Zalze also has water restrictions when necessary, but the water supply is managed with the future and possible droughts in mind.